Poll Results – Hunters Hate Dragging and Expense! 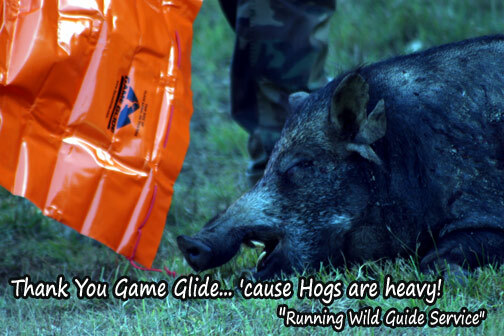 Game Glide is Launching Soon! Hurry sign up for newsletter! Earn CASH for Game Glide Deer Sled Photos & Videos! Earn up to $175 !! This contest is rather simple: Use our product, take pictures and/or video, send them to us before others and you get paid. The details are below. And before you ask, the answer is: YES. You could earn payments $$$ from multiple or all categories!!!! And YES, this is open to guides too! Since this is still the off-season for most wild game here in PA, it has been difficult for us to get new photos of our Game Glide deer sled in use. We have tons of pictures of us with deer and deer drags on our old Game Glide prototypes, but we want some pictures of animals on the final product. We are working with some outfitters who are out there hunting right now with our product. Until their pictures start rolling in, we thought it would be fun to offer some cash $$ to our customers. See below. We will send $20 (via PayPal) to each of the first 5 people to provide us with video (at least 20 sec) of the Game Glide deer sled in use with an antlered whitetail buck and a short product review ($10 to first person to provide video of a whitetail doe on a Game Glide and a short review). Keep in mind, by submitting a photo, video, and/or review, you are giving us permission to use it on our website and on other sites such as (Flickr and YouTube). We would prefer if the video shows the being placed onto the Game Glide and then pulled, as depicted in the instructions. Use depicted needs to be in accordance with the Game Glide instructions. We will send $10 (via PayPal) to each of the first 5 people to provide us with at least 5 photos of the Game Glide in use with an antlered whitetail buck and a short product review ($10 to first person to provide 5 photos of a whitetail doe on a Game Glide and a short review). Keep in mind, by submitting a photo, video, and/or review, you are giving us permission to use it on our website and on other sites such as (Flickr and YouTube). We would prefer if the photos show the deer being placed onto the Game Glide as in the 4 illustrations in the instructions and then pulled. Use depicted needs to be in accordance with the Game Glide instructions. We will send $10 (via PayPal) to the first person (for each species listed) providing at least 5 photos (and $15 for video (at least 20 sec.)) of Game Glide use on mid-sized “exotic” game animals (bear, hog, boar, stag buck, other types of antlered deer) and short product review. Keep in mind, by submitting a photo, video, and/or review, you are giving us permission to use it on our website and on other sites such as (Flickr and YouTube). Please contact us if you have pictures of the Game Glide in use on other species not listed here. Use depicted needs to be in accordance with the Game Glide instructions. And YES, you could earn the $$$ from multiple or all categories!!!! But you could only win one payment from each category. So, if you earn the payment in each category listed above, you could earn up to $175 from Game Glide. We reserve the right to cancel this Game Glide Photo & Video CASH Bounty at any time. We will announce it on our blog when we end this Bounty Contest and announce which species are still in the contest from time to time. Ps. We will be announcing another higher dollar prize photo contest shortly. Submissions to this Game Glide Photo & Video Bounty Contest will automatically be registered for this contest. *By emailing, uploading, posting or otherwise transmitting through or to our website any content, you grant to us, our successors and assigns, a non-exclusive, world-wide, royalty free, perpetual, non-revocable license to use or distribute such content in any manner.